It all makes sense to me now, of course I have known this fact for some time but sometimes you just gain a level of clarity that you didn't have before. We are a lazy nation, of course I use that collective "we" as an over-generalization, but hear me out. I have been a little down on the fact that the new Chevy SS will not be available with a manual. I suspect my depression is shared. You see, like many of you, I have a car-ownership bucket list, and since I am limited by practicality and finances I can only own one car at a time. I really wanted to own a manual, RWD, V8, American sedan before gas prices become completely stratospheric and these cars go the way of the dinosaur. The SS was supposed to be that car. I know there are a few pre-owned options out there, but I am just not willing to roll the dice on a used CTS-V, no matter how fast it is. But something kept bugging me, why the one car that Chevy clearly aimed at enthusiasts, they did it not make for real enthusiasts? 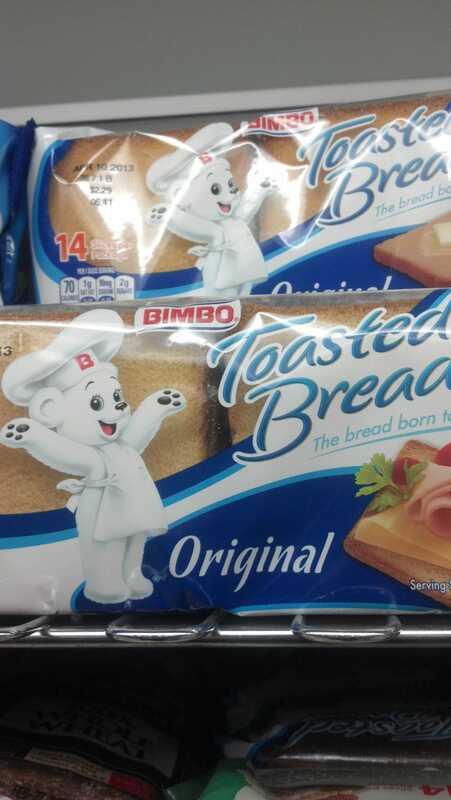 During my stroll in the grocery store I came across the picture above, toasted-bread. Let’s pause for a second....bread that is already toasted. To me this illustrates perfectly the limited number of manuals in America, we are lazy. We want everything done for us. Of course this community here at Jalopnik doesn’t subscribe to automotive laziness. If many of us had our way we would be daily-driving E30s or Miatas. Cars you can’t be lazy in because they demand interaction. But we are the minority, and despite our enthusiasm our numbers are decreasing as generations progress. We may be living in the golden age of performance cars, but I am afraid the golden age of driving is slowly coming to an end. I hope I am proven wrong, but the proliferation of automotive technology away from the driver is growing exponentially. I’m sure the SS will be a very good car. It will be fast, it will probably handle just as well as some of those “benchmark” German sedans, it will be comfortable, and even though it’s not that exciting to look at in pictures, I bet it will be very handsome in person. I just don’t care anymore, to me it is “toasted-bread” something I don’t want, and don’t need. Maybe it's time to make a new list.